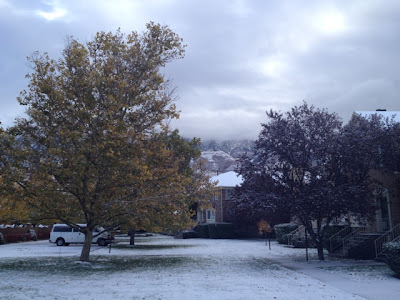 While Grandma Martha was away in beautiful California, we had our first snow. 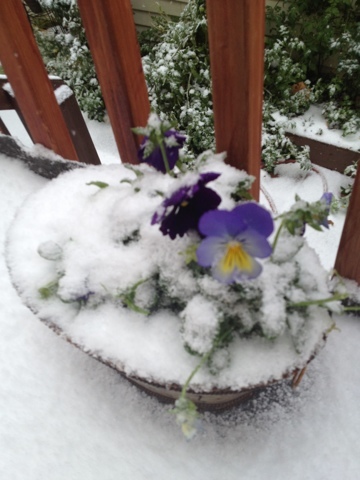 Everyday I have more respect for pansies. 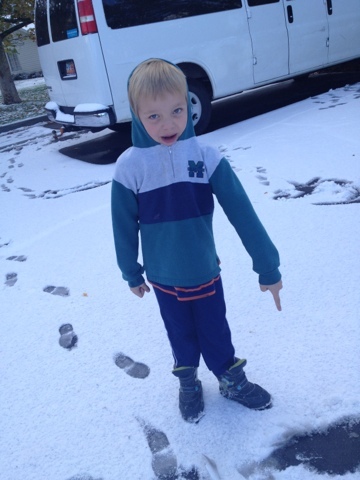 Grant was excited to go out and make snow angels. Somehow I only got footprints. 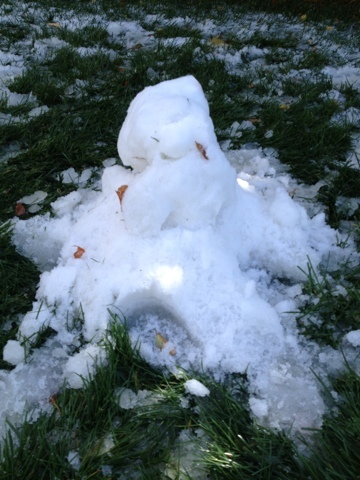 When our neighbor Marie got off the kindergarten bus the kids made a snow dog. 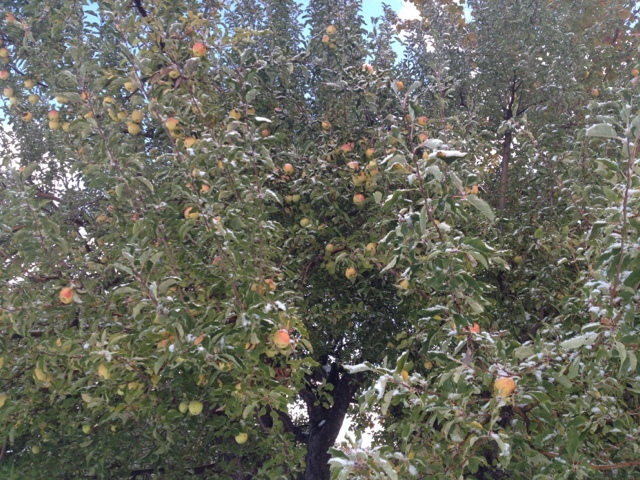 The snow was wonderful for the apples. Everyone in the neighborhood has been talking about how flavorful they are now-- almost lemony. I love having this tree in common. I would live in a commune in a heartbeat. 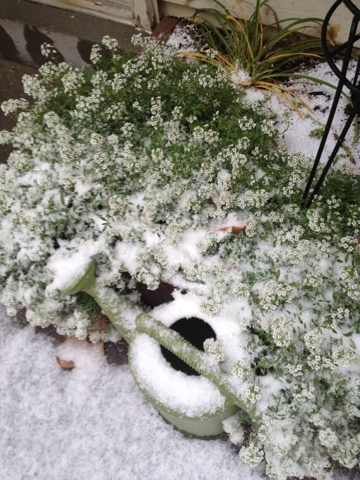 My alyssum didn't mind the snow. They are still in bloom. 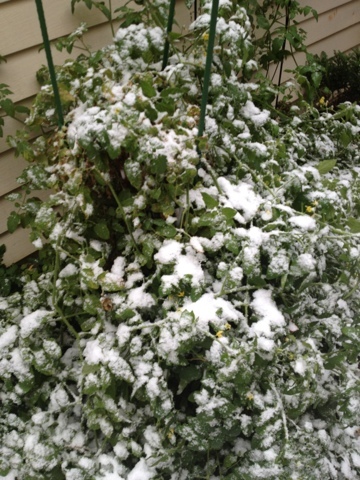 I went out to rescue the little green tomatoes. This was the day before. 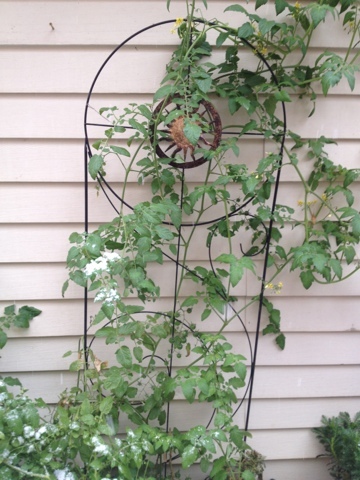 The plant had grown up on to the rose trellis. 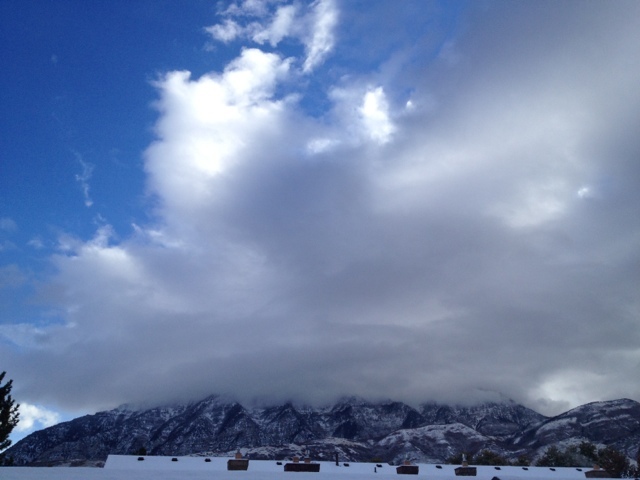 I wish we could have had an Indian summer. I had dozens of new tomatoes. 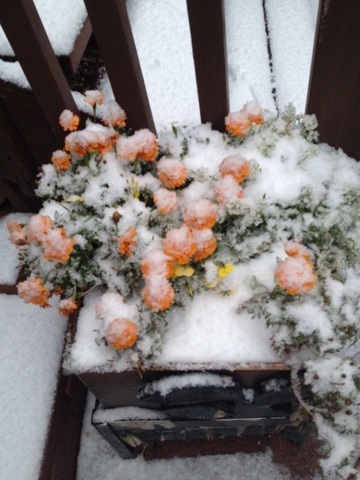 I have been so grateful for this little flower box all summer and fall. It has grown so abundantly.